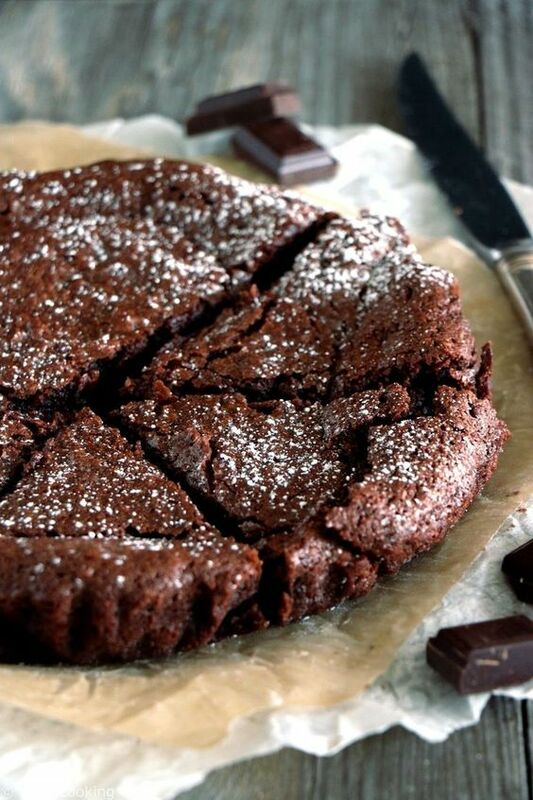 Fluffy French chocolate cake, moist in texture and topped with a thin crispy crust. My go-to chocolate cake for any occasion. In a medium-size saucepan place on low heat, melt the chocolate with the milk. Add the butter and allow to melt, stirring as needed. Turn off the heat, then add the sugar and the yolks, one at a time, stirring between each addition. Sift in the flour and stir well. In a medium-sized bowl, whisk the whites with a pinch of salt until soft peaks form. Carefully incorporate to the chocolate mixture in two or three additions. Pour into the prepared spring form and bake for about 30-35 minutes. * If using a bigger form, double the recipe proportions or multiply by at least 1.5%.